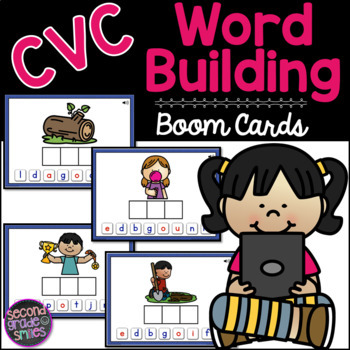 This free Boom Cards™ deck contains 25 CVC word building digital task cards. 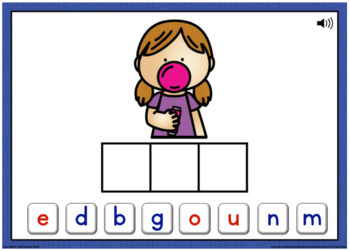 Each card displays a picture representing a consonant vowel consonant (CVC) word and three letter boxes. 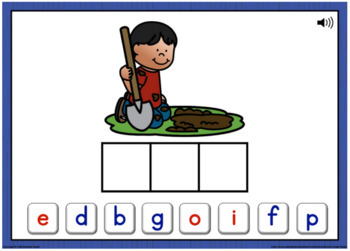 Students choose the correct three letters needed to spell the word from eight letter tile choices and drag and drop those letters into the correct spaces. 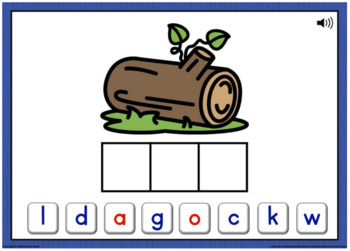 Students may also choose to click an icon to hear the word pronounced if needed.